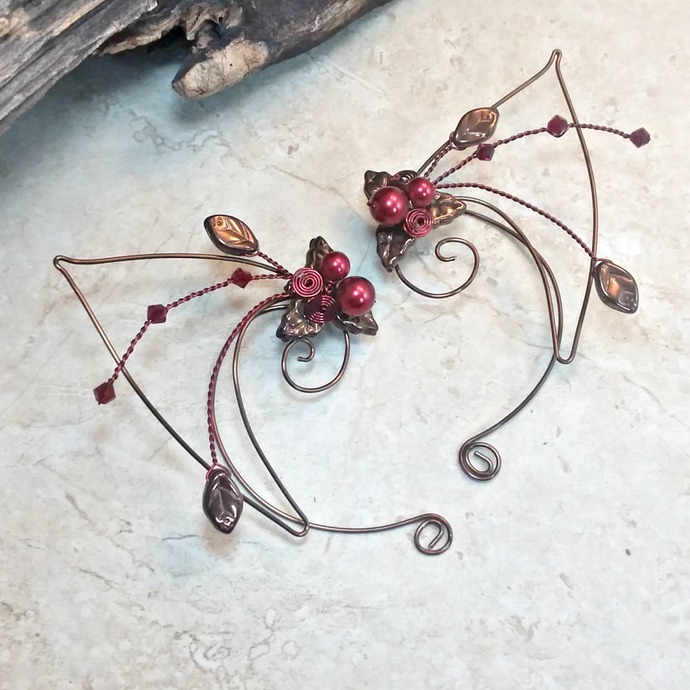 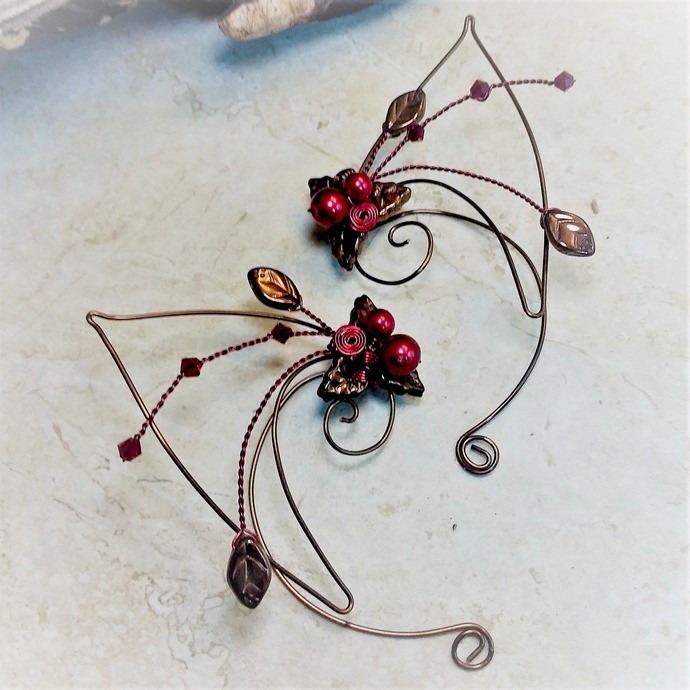 Adorable Christmas, Valentines Day or woodland elf ear cuffs in "cherry chocolate" red and brown with your choice of Brown, Silver or Dark Green & Burgundy colored non-tarnish wire. 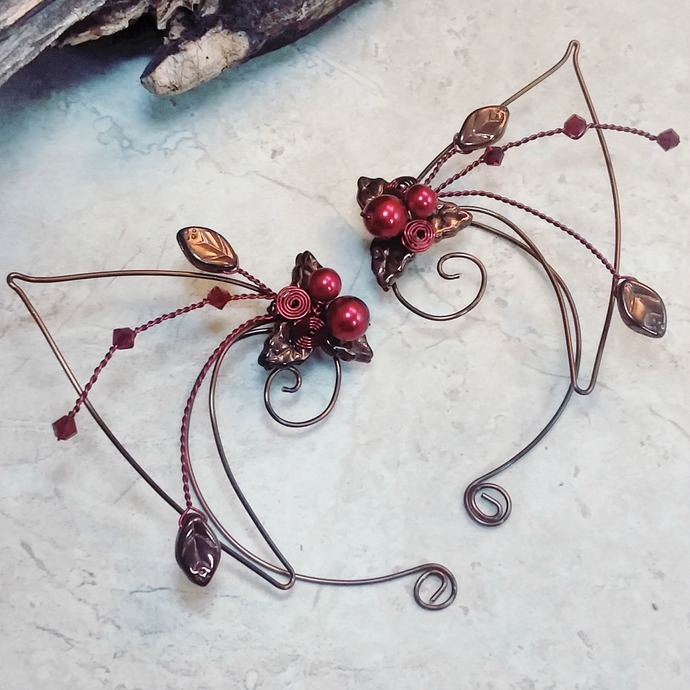 Add a bit of impish elf charm to any occasion. 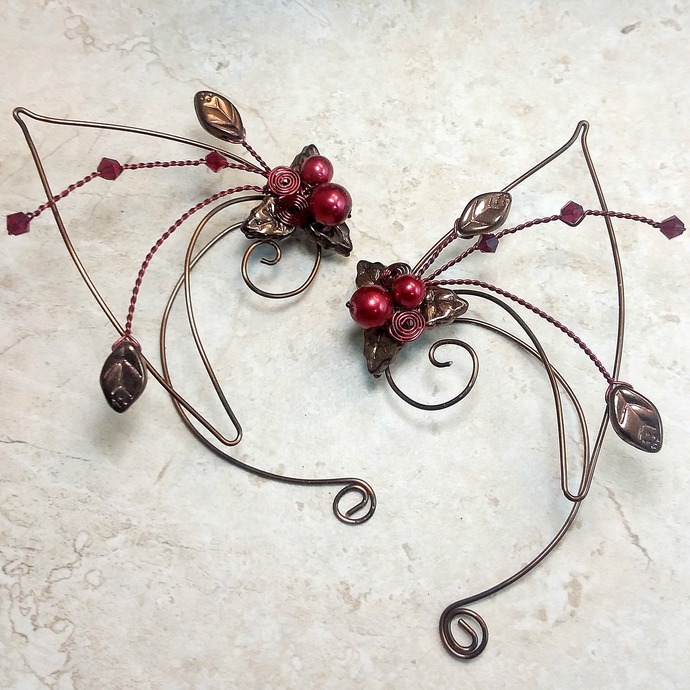 NOTE: the Green/Burgundy option has Dark Green for the "ears" bit and Burgundy for the smaller wire, the "spray".